The bankrupt island’s federal oversight board certified plans that include cuts to pensions and other austerity measures. Some are in line with what Puerto Rico’s governor proposed. But they don’t adequately address the risk of yet more working-age people jumping ship. 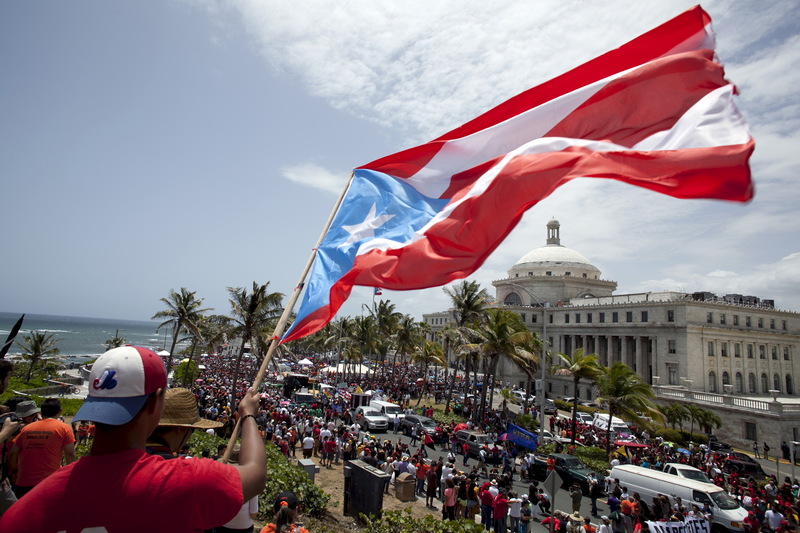 A man waves a national flag as protesters march through San Juan May 13, 2015. The Financial Oversight and Management Board for Puerto Rico oversees the government finances after the Puerto Rico Oversight Management and Economic Stability Act of 2016. It passed a proposed budget on April 19. The oversight board can take the Puerto Rico government to court if the leadership fails to implement the plan. The governor and legislative leaders have spoken against pension cuts and other cost-cutting measures in the proposal.